A MAN who had just quit his job was stunned when his boss returned his edited resignation letter, to include tributes to himself. Chester Ang decided to leave his role as a call-centre in a bank to start up a pet shop. 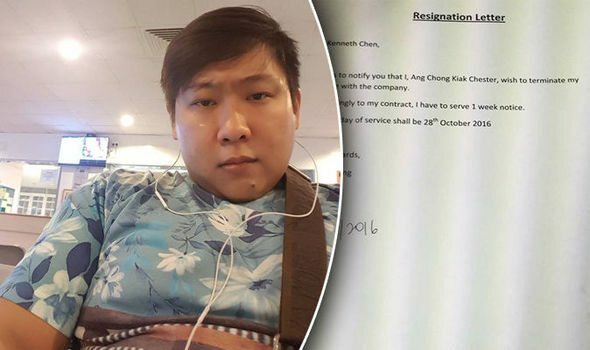 The 29-year-old had worked in the Singapore firm for more than two years, and handed his notice in to his manager on October 21. 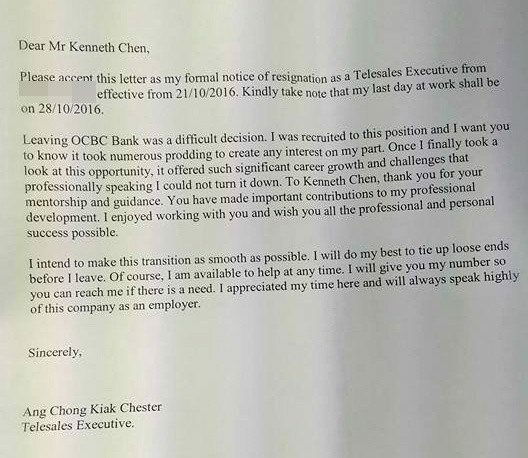 His boss, Kenneth Chen, gave him back the resignation letter which now included references to his “mentorship and guidance” and thanked him for “important contributions to my professional development”. Chester said: “The manager passed the letter to me telling me that this is a better piece and to pass it back to him after signing. ”But after reading it, I chucked it aside. And I can tell that he was waiting for the letter back. ”It was still at the corner of my table at the end of the day, so I tore it up before I left the office. ”My reason was, I could have typed a good one myself with compliments if he was a good manager. But everything was the opposite so I don’t think I can sign it. Chester is currently still serving his one-week notice period which ends on October 28, and does not wish the firm to be named. 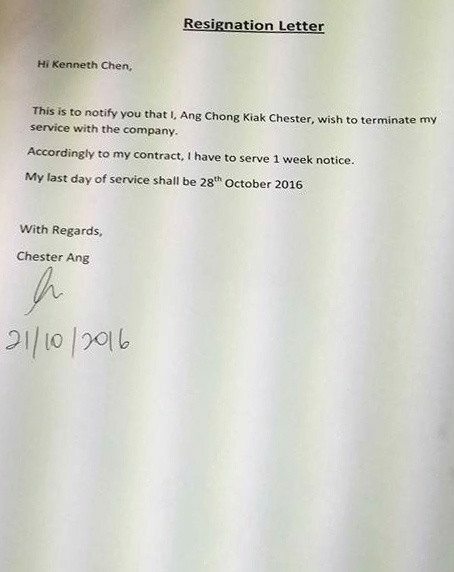 The letter he initially gave to his boss said: “Hi Kenneth Chen, This is to notify you that I, Ang Chong Kiak Chester, wish to terminate my service with the company. ”According to my contract, I have to serve 1 week (sic) notice. The letter, which his manager returned hours later, said: “Please accept this letter as my formal notice of resignation as a Telesales Executive effective from 21/10/2016. Kindly take note that my last day of work shall be on 28/10/2016. 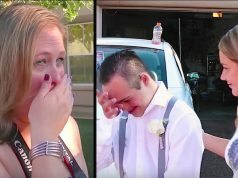 ”Leaving was a difficult decision. I was recruited to this position and I want you to know it took numerous prodding to create any interest on my part. ”Once I finally took a look at this opportunity, it offered such significant career growth and challenges that professionally speaking I could not turn it down. ”To Kenneth Chen, thank you for your mentorship and guidance. You have made important contributions to my professional development. ”I really enjoyed working with you and wish you all the professional and personal success possible. ”I intend to make this transition as smooth as possible. I will do my best to tie up loose ends before I leave. Of course, I am available at any time. 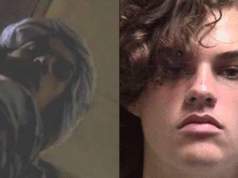 Chester decided to share the letter online after being shocked at what his boss had done. Some people told him he had done the right thing in not signing, but others said he should have written a better and more detailed resignation latter in the first place. He added: “I simply wanted to resign. I didn’t write bad things about the manager which I could have done. And he shamelessly adds untrue credits to himself. ”I have plans to open a pet shop. Which I can have fun with my hobby with animals.